Weidong Dai obtained an opportunity to join a two-plus-two program in 2010. 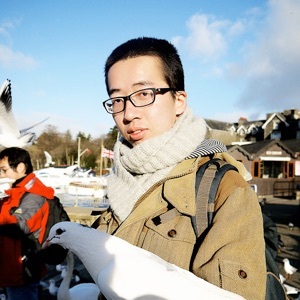 Half of his undergraduate time was spent in Huazhong University of Technology and Science (China), with the other half spent at the University of Birmingham (UK). Dai was awarded Mechanical Engineering Bachelor's degrees from both universities in 2014. The focus of his final year project was on the mechanical properties of materials used for 3D printing. Dai then turned his interests to aerodynamics and one year later was awarded a Master’s degree in Advanced Aeronautical Engineering from Imperial College London. His individual project aimed to capture the behaviour of pulsating flow around pipes and analyse the lock-on phenomenon of vortex shedding. After a year at BSH Electrical Appliances as a mechanical engineer, he joined the University of Edinburgh to perform a PhD under the supervision of Dr Viola on tidal turbine unsteady hydrodynamics.